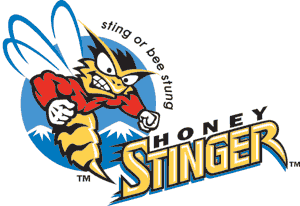 I’m really chuffed that Honey Stinger are taking care of my nutritional needs for 2015’s packed training, racing and “possibly bitten off more than I can chew” big rides schedule. In the past few years the huge advances in cool things like bikes, offroad biking lights and clothing are well-known and get loads of press coverage, yet sometimes the massive improvements in nutrition products are overlooked. I remember when I first started racing, you had to put up with energy bars with the texture and taste of plasticine, gels that reminded you of snot and protein bars that were apparently made of chalk. If you were able to experience normal bowel function in the 2 weeks following a 24 hour race, you were doing very well. Fast forward a few years and the situation is much different. The main problem now is how to resist eating all of the delicious sports nutrition products with a nice cup of tea instead of using them for their intended purpose (stuffing them down one’s neck while trying to ride a bike/run/ski/whatever). 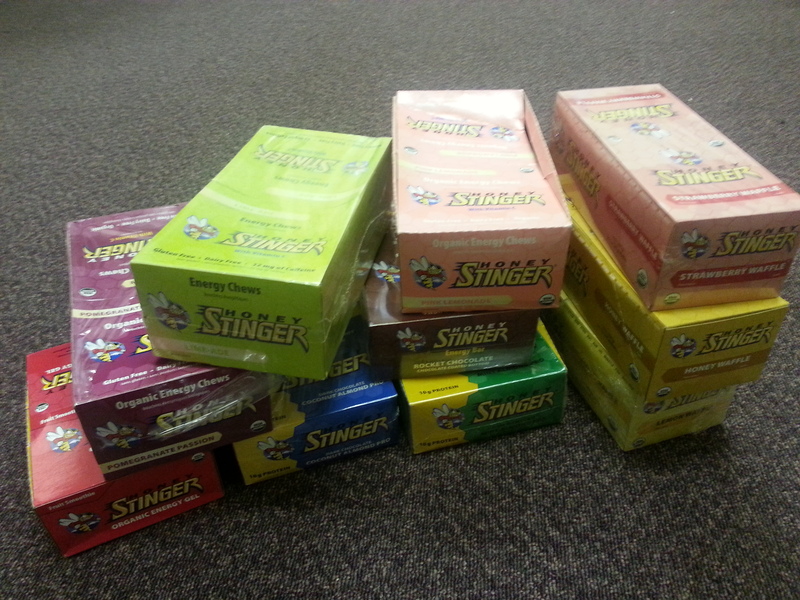 Honey Stinger gels, bars, protein bars, chews and waffles (WAFFLES!!) are probably the most tempting I’ve ever had in the house. Maybe it’s the liberal use of dark chocolate that does it, or the high honey content. Whatever it is, I’m really impressed with the “Regular Food-ness” and lack of any kind of artificial taste or texture. Protein bars deliver 24 grams of protein and a thick layer of lovely dark choc. Gels and chews give you around 75% carbs and waffles are around 65% carbs with a bit of fibre. Flavours include Limeade, Cherry Cola, Acai and Pomegranate and Strawberry.